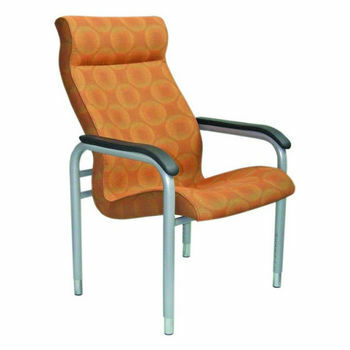 The Posture Plus is the final word in patient and day room seating. Featuring ergonomically sculptured seat shell and seat foams, as well as integrated head support, the Posture Plus offers outstanding user comfort, even when used for extended periods. Adjustable-height legs are standard, as are soft and durable polyurethane arms. Optional upholstered arms and transit wheels are available.